Recently, a relative loaned me several boxes of old family photos to scan. What a treasure trove! There were pictures there I’d never seen before. And thankfully, most of them had names written on the back. One of them I thought was especially sweet, and I didn’t need to look for the name on the back of this picture. This little girl has been part of my life for quite awhile. This is my niece, Donna. 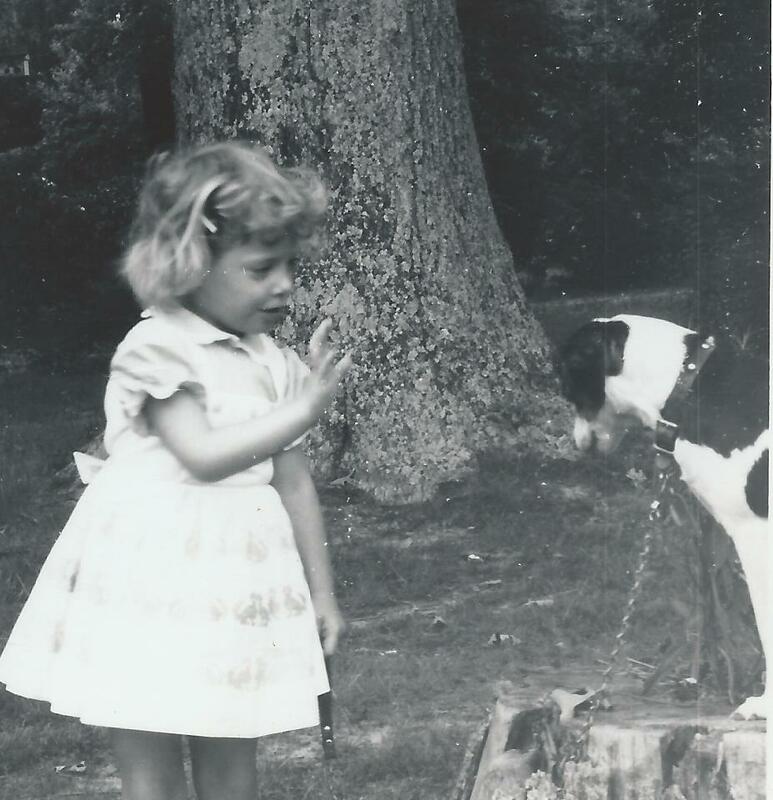 The dog, named Frances, belonged to our aunt and uncle, and the photo was taken at their house. After studying the picture for awhile, I noticed a couple of things that weren’t apparent right away. The handle of the leash is barely visible in Donna’s left hand. I can imagine her walking Frances around the yard, and deciding that this tree stump would be a good place to stop. With her right hand (blurred in motion), she’s obviously telling Frances to “stay”. And Frances appears to be obeying her wishes.